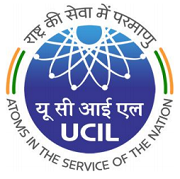 UCIL,Uranium Corporation of India Limited, Jaduguda invites applications from ITI qualified persons in various trades for enrolment to Apprenticeship Training under Apprentices Act- 1961 read in conjunction with Apprenticeship Rules 1992. The total number of vacancies is One hundred thirty one (131). ADVT. No. 02/2017.Selected candidates will have make their own arrangements for accommodation during Apprenticeship period. Candidates who have already undergone or are currently undergoing Apprenticeship under Apprentice Act, 1961 in any Govt./Public Sector/Private Industrial organization are NOT eligible. 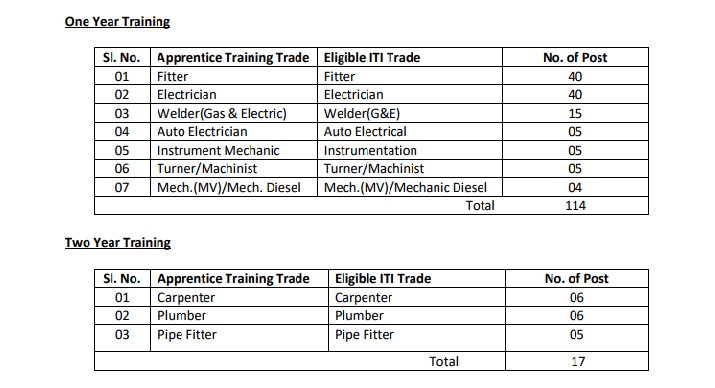 Rs.4004/-, Rs.4576/-, Rs.5148/-, Rs.5148/- per month, depending on period of Apprenticeship training as per Gazette Notification No.492 dated 22.09.2014. Matric/Std. X with a minimum of 50 %( aggregate) marks for UR/OBC (NCL) candidates and 45 %( aggregate) marks for SC/ST candidates & ITI Examination in relevant Trade with aggregate of 60% marks qualified from NCVT (National Council for Vocational Training). Age : Minimum 18 years and Maximum 25 years as on 31.03.2017. Selection of the candidates will be on merit basis i.e on the basis of marks obtained in Matric & ITI Examination. Applications will be accepted only offline. Application to be forwarded as per format available in UCIL website (www.uraniumcorp.in) through speed post only and addressed to Dy. General Manager (Inst./Pers. &IRs), Uranium Corporation of India Limited, PO : Jaduguda, Dist : East Singhbhum, Jharkhand – 832 102 within 15 (Fifteen) days from the date of publication of this advertisement. from last institution studied in f) One self- addressed stamped (Rs.10/-) envelope of size 22cm x 10 cm. Applications received after due date and incomplete applications will be rejected and no further correspondence in this regard will be entertained.